JMD Ross can tailor an insurance policy to your needs. Please select from the options below that best suit your situation to learn more. If your type of cover is not available please do not hesitate to contact one of our friendly advisors and we will see if we can help. JMD Ross draws on more than 35 years of dedicated and discreet service to those with significant assets. JMD Ross draws on years of expertise to take the time to understand your business, explain your options, and provide tailored business insurance and risk management solutions. JMD Ross provides professional indemnity insurance for consulting engineers and architects. JMD Ross provides professional indemnity insurance for accountants. JMD Ross Professional Risks specialises in arranging professional indemnity insurance for architects. JMD Ross Professional Risks specialises in arranging professional indemnity insurance for engineers. JMD Ross and the Welding Technology of Australia have partnered to provide discounted insurance for WTIA members.  JMD Ross works with various industry associations, membership groups, franchises and other bodies to deliver insurance solutions that are specifically tailored to cater to your unique needs. JMD Ross has developed particular expertise in the travel and tourism industry across more than 30 years and is a recognised leader in the field. JMD Ross is committed to satisfying retail butchers’ insurance needs at a competitive rate, with good coverage and great service.